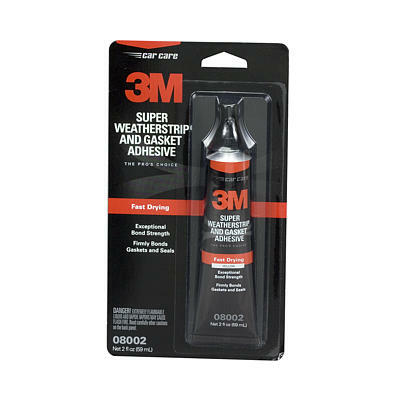 3M•À_ Super Weatherstrip Adhesive bonds gaskets and weather stripping to metal surfaces. Withstands vibration and temperature changes. Resists oils, fuels, detergents and grease. Strong, and flexible bond.